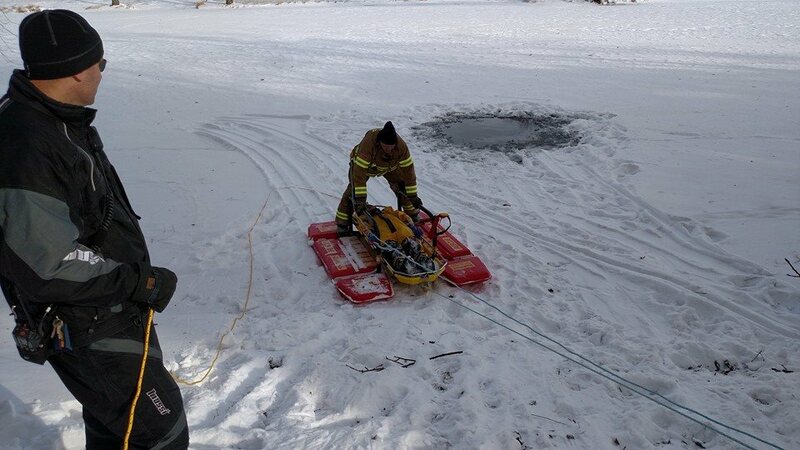 Whether Man or Beast we at JMFD have the equipment to come get you out of a frigid situation. How long can person last in cold water? As the temperature remains below freezing more and more ice will be forming over waterways. Since the weather has been rising above freezing daily this ice will not sustain your weight. So please refrain from testing this ice with your person. Use a stone or pointed stick to test prior entering the ice. Learn more about hypothermia and how to last longer in cold water.